Last week I made a trip to visit Paul Shippey in Weston-super-Mare and collect the mandolin he's just completed for me. 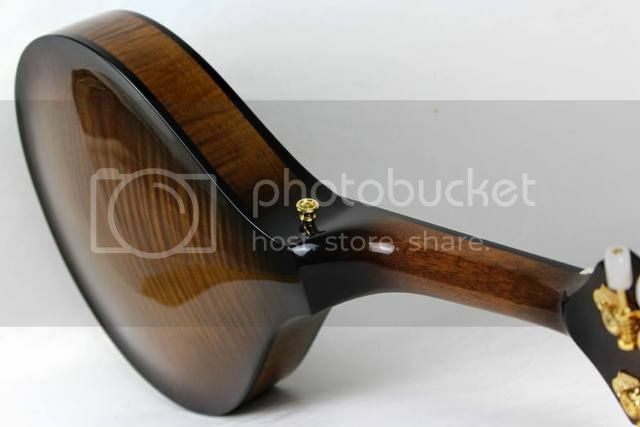 This is Paul's carved-top oval-hole instrument that these days is known as the 'Tone' mandolin. 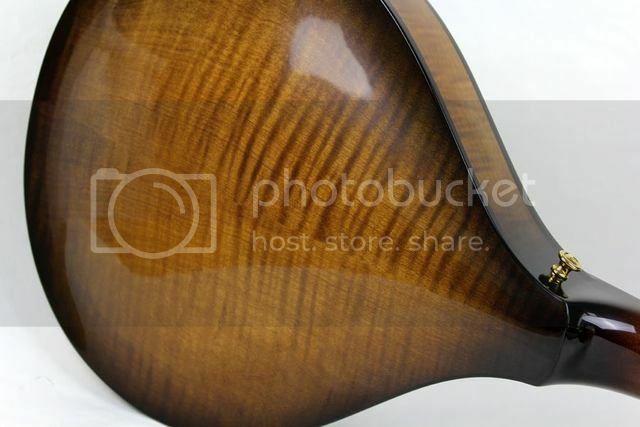 For my mandolin we chose an Engelmann spruce top, English sycamore back and sides, and mahogany neck. The finish is extra dark brown gloss (top) and brown sunburst (back). I am, of course, delighted. The construction and finish are flawless. The tone is sweet and powerful. 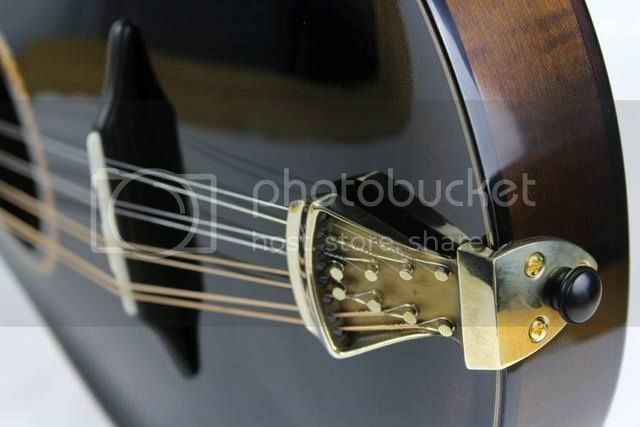 Many mandolins have a slightly weak E string - not this one. I have to say that I have nothing but praise for Paul's professionalism, craftsmanship and attitude. 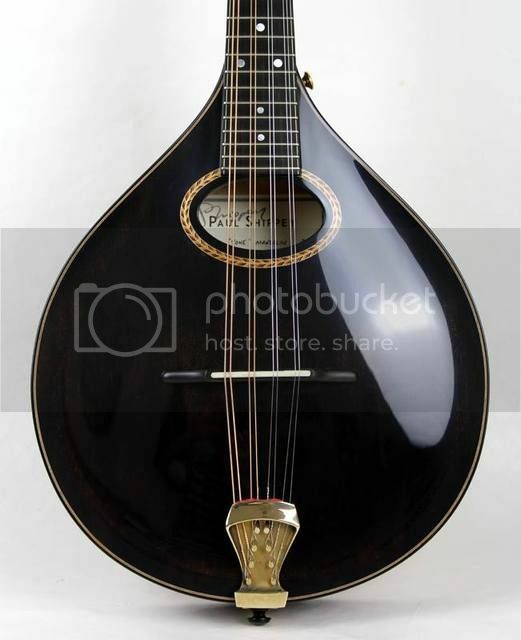 The process of acquiring this mandolin has been a huge pleasure. I did have to wait quite a while, as is usual for a luthier whose work is very much in demand, but there's good news on this front: Paul has managed to clear much of the backlog of work and the waiting time for orders is now down to 8-9 months. Beautiful instrument there, Dave. I'm sure you'll have loads of pleasure playing it for many years to come. I bought my Paul Shippey oval hole 16 years ago when he was still in Bristol. 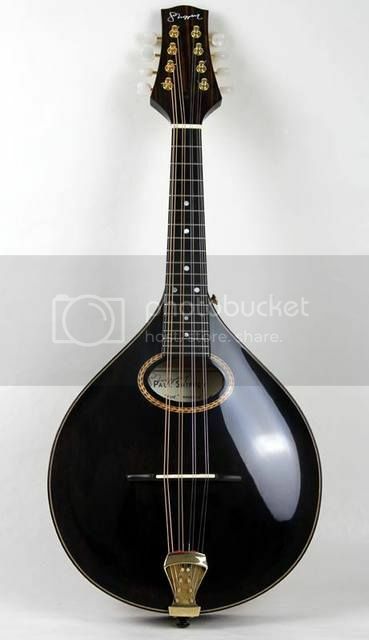 one of the best sounding, easy playing mandolins I've ever played. What a beauty, my Lord. I love that dark brown color, it's almost black. Are you still enjoying it, Dave?